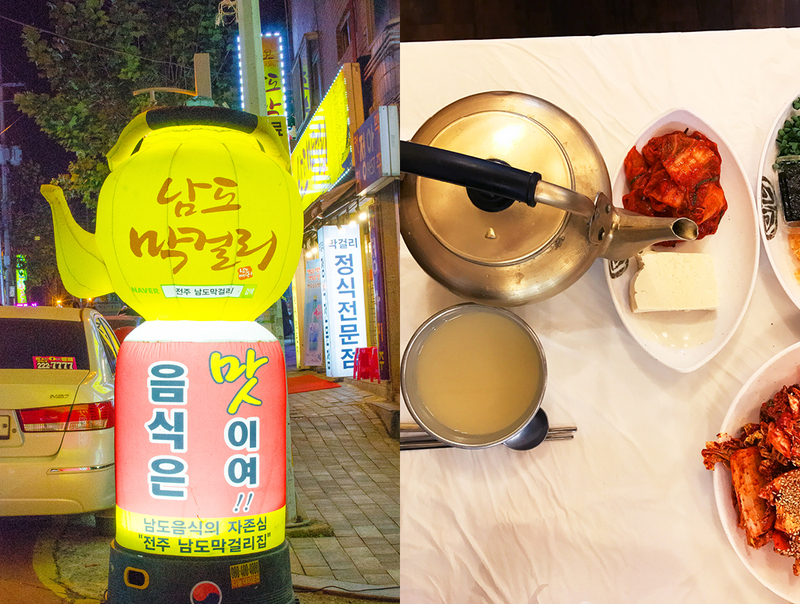 On a recent trip to Seoul, Korea, we thought it would be fun to venture out of the thriving metropolis and get a short glimpse of the countryside and experience some of Korea’s culinary delicacies. Not knowing where to go, and with limited time, we got a lead from one of our colleagues in New York whose specialty is travel in Korea. 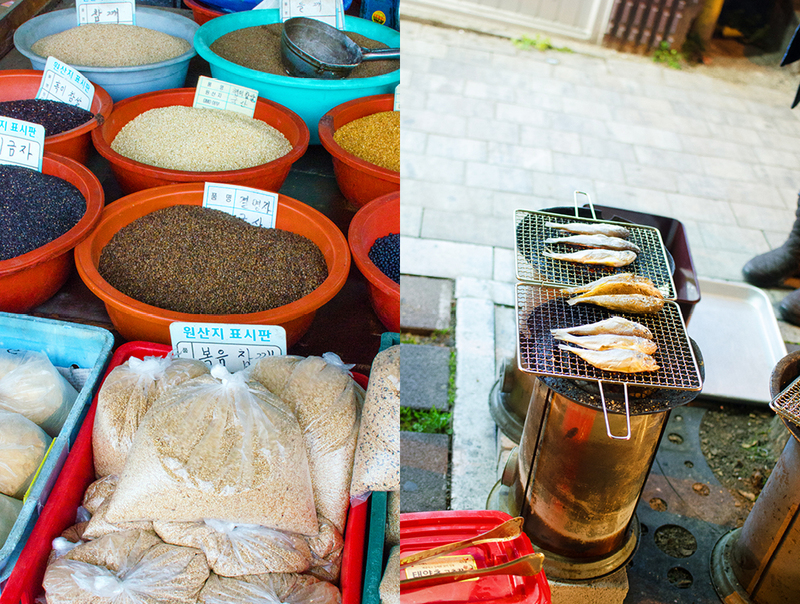 They put us in touch with Seoul-based Ongo food, a food and cooking tour company. They teach hands-on classes in Korean cooking and guide tours highlighting some of the fascinating dining and cooking customs of Korea. The Ongo food guides all speak perfect English and are extremely knowledgeable. 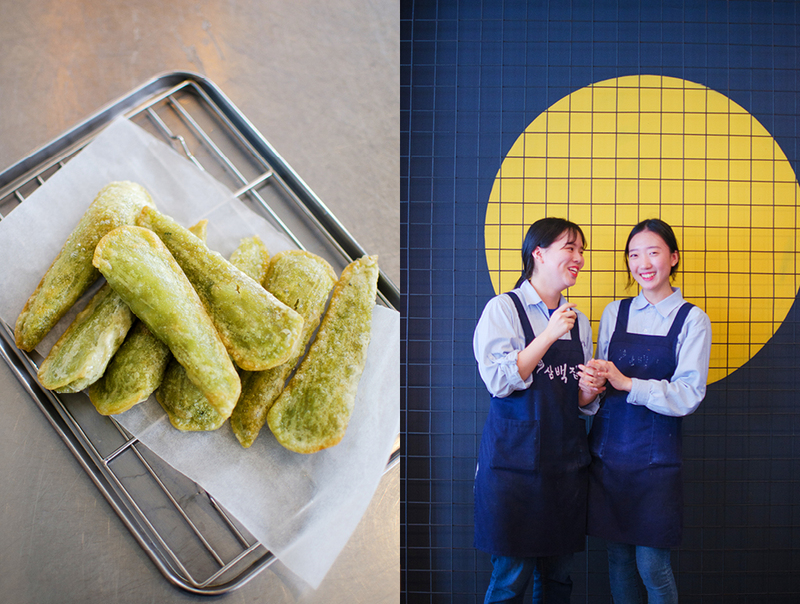 They can take you deep into local markets or to the best restaurants, places you would never find on your own, revealing the cuisine, customs, and practices that make Korean food so unique. We chose their Jeonju tour. 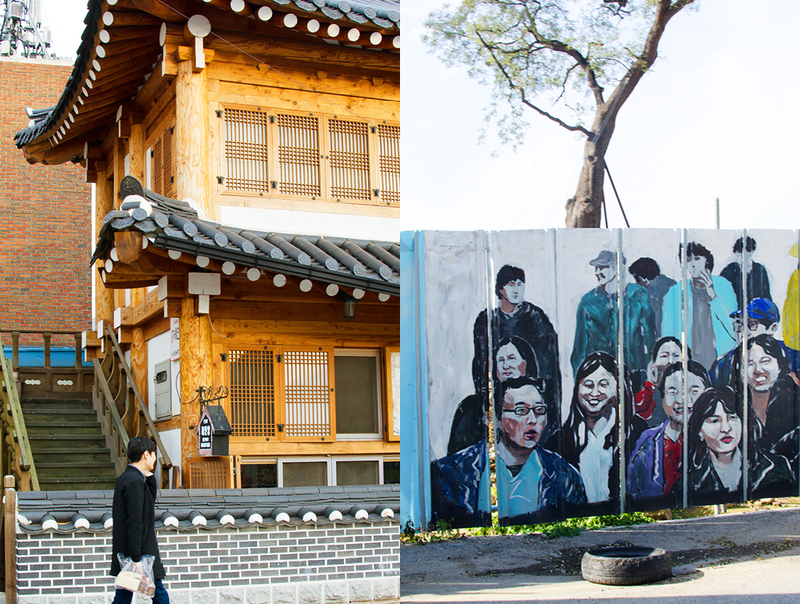 Jeonju is just two hours south of Seoul and easily reachable via high-speed train. 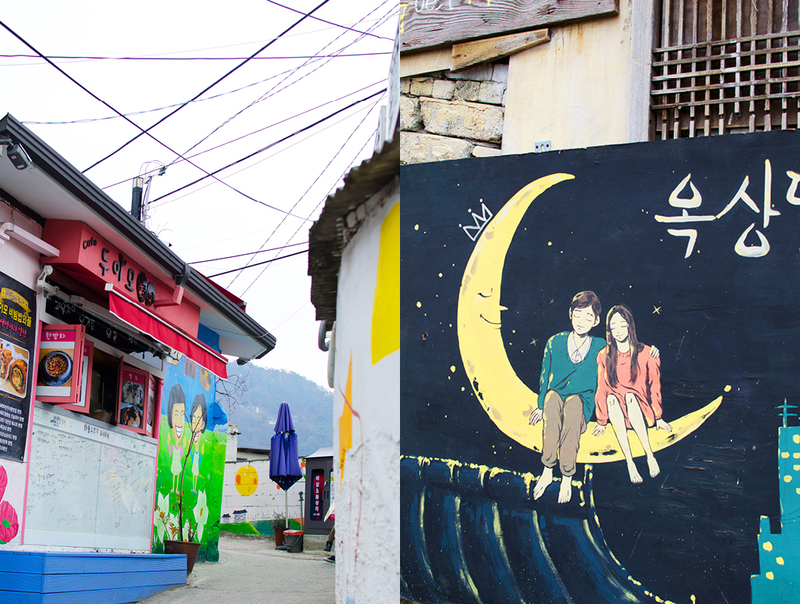 It’s the perfect short getaway from Seoul to gain a better perspective on the country. 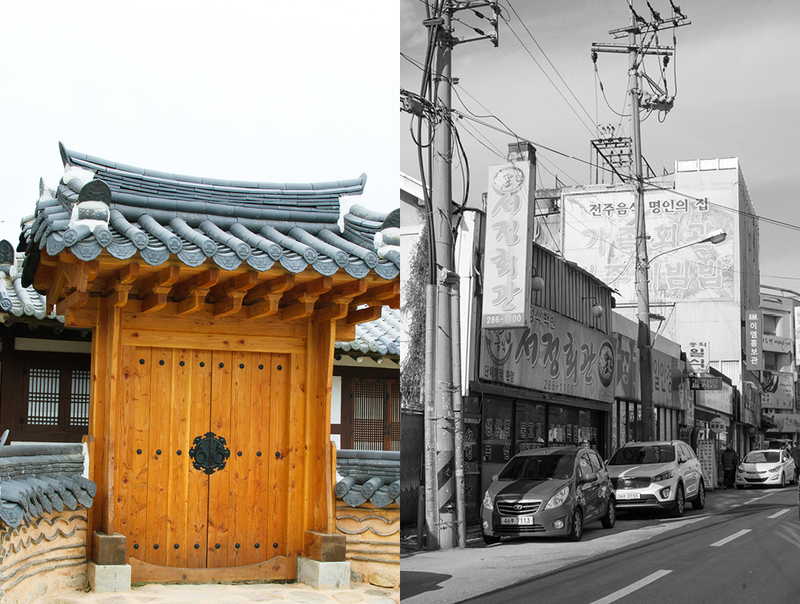 We wanted to spend two days in Jeonju, so Ongo food arranged for our accommodation in a traditional Korean house (hanok) that has been converted into a bed and breakfast, of sorts. First a bit about Jenonju. Unesco, in 2012, named Jenoju one of its gastronomy cities of the world. 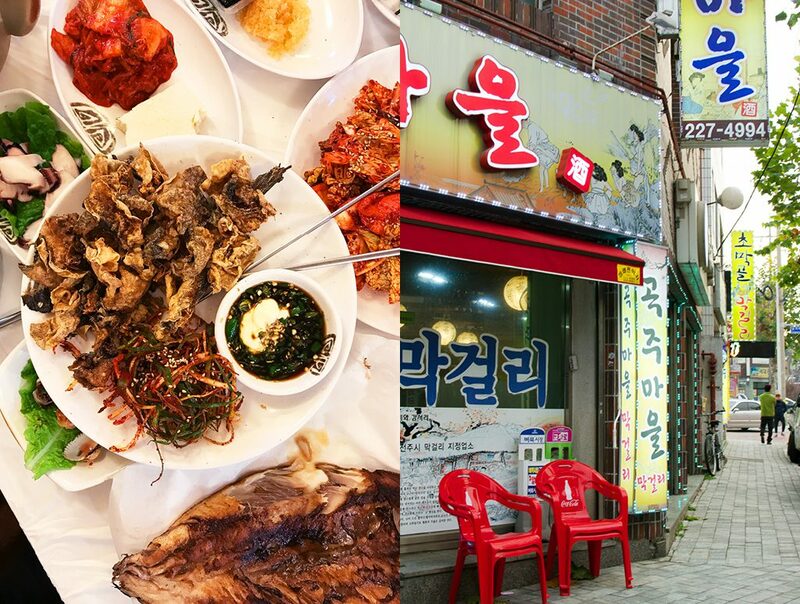 It is rich in traditional architecture, history, and, of course, food, with a dizzying array of places to eat. 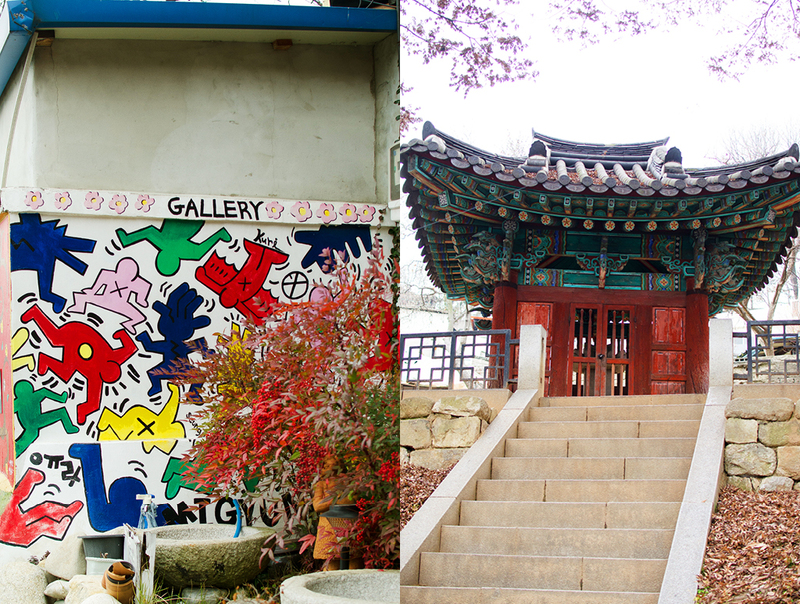 It’s one of Korea’s top destinations but is little frequented by western tourists—for now. We got an early start on a Saturday morning, meeting our guide at Yongsan Station in Seoul. The train depot was buzzing with Korean families, couples and group of friends all heading out of the city for weekend activities. Fortunately, Ongo food booked reserved seats for us. The train was absolutely packed. Similar to a French TGV train, we zipped through the countryside at lightning speed. Soon after leaving Seoul, a group of what seemed to be close friends sitting across the aisle from us, unpacked a sparse breakfast they had brought along. Noticing we were without sustenance they gestured an offering of tangerines to share. Their limited English and our non-existent Korean meant most of our communication was with hand gestures and bows. But their kindness in sharing with us needed no words. Like ambassadors for Korea, their kind hospitality to strangers made us feel quite welcome. 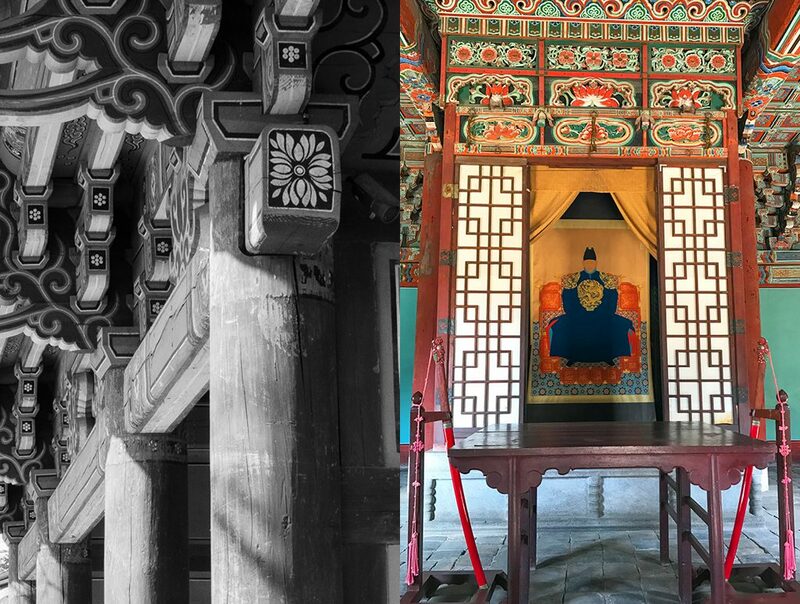 We had a quick look around at Hanok Hotel Hagindangour, an ancient Korean home converted to host guests, before heading out to explore the town. 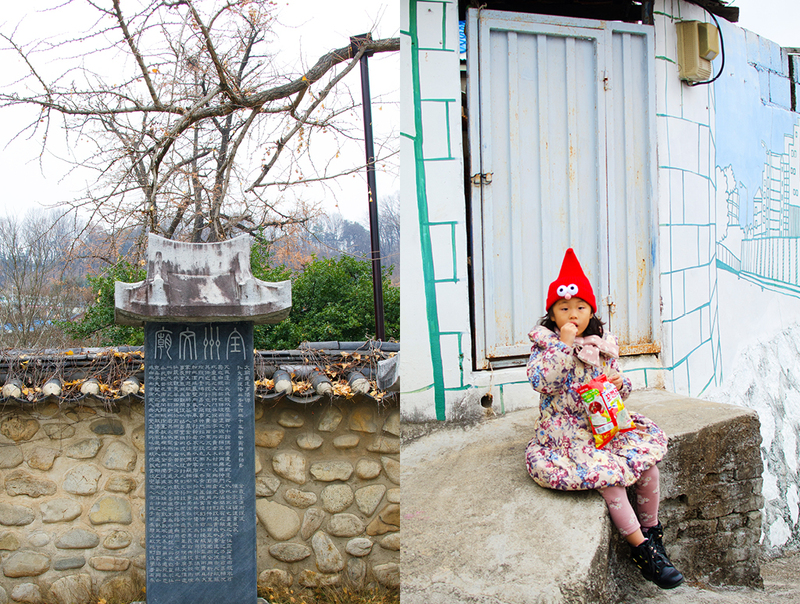 Walking through the old village, we passed by old Hanoks, cafes, and little shops. It was dizzying to take in all the new things we saw along the way. Our guide, graciously, and patiently, gave us the liberty to just gaze and take it all in. Around lunch time our guide led us to a small square, and into an unassuming building plastered with posters, billboards and all manner of local advertising. None, however, indicated that a restaurant might be on the premises. It would have been impossible to wander into this place by chance. We went up to the first floor where we found a large dining hall in what seemed to be an older part of the building. As we entered we were warmly greeted by the owner, an elderly lady who, as our guide explained to us, is legendary for the Korean dish called Bibimbap. People travel from miles around to experience it. And since Bibimbap is this restaurant’s sole offering, they have gotten pretty good at it. A bowl of broth, with various ingredients added to it, is a staple of Korean cuisine. It comes in many variations with a variety of names and is the featured dish in many meals. 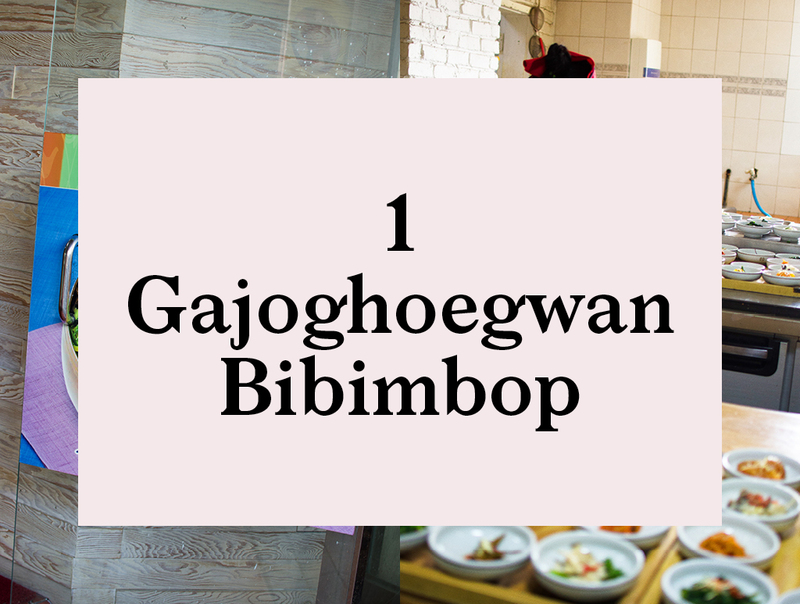 The most common version of this seems to be “Bibimbap”. 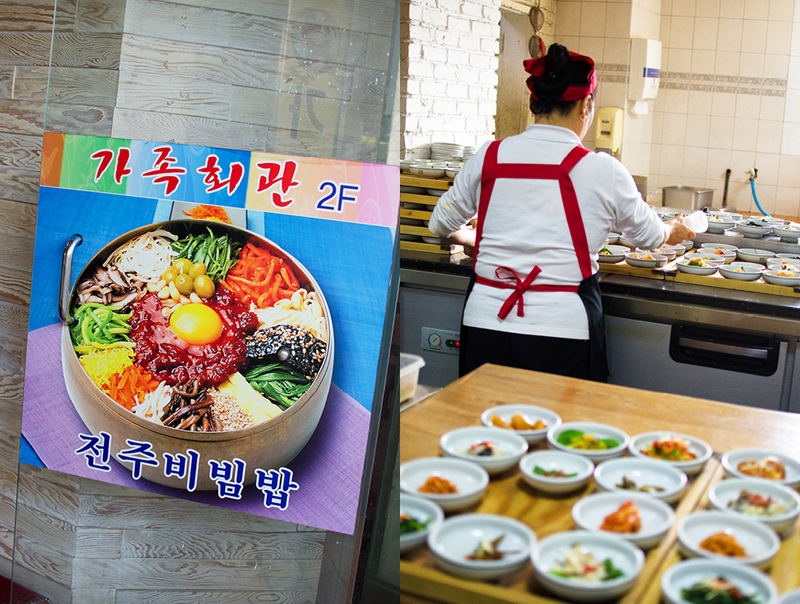 The term Bibimbap was first mentioned in an anonymous cookbook from the late 19th century, called the Siuijeonseon, which literally means mixed rice. But some scholars assert that the dish that is today called Bibimbap originates from the traditional ceremony of “jesa” performed to memorialize one’s ancestors. To perform rituals, the family prepares many kinds of food, particularly those that were favored by the deceased. The idea is that this variety of foods, after their initial ritual purpose, found their way into a bowl, and with the addition of some rice made a tasty leftover dish. We are led through the restaurant and along the busy open kitchen buzzing with the day’s lunch preparations. Stacked high in the kitchen are the metal bowls made especially for Bibimbap to keep the heat concentrated in the dish while you eat it. Back in the day, only the court and the very well-to-do were allowed to eat from these special bowls–and others couldn’t afford such extravagant craftsmanship. 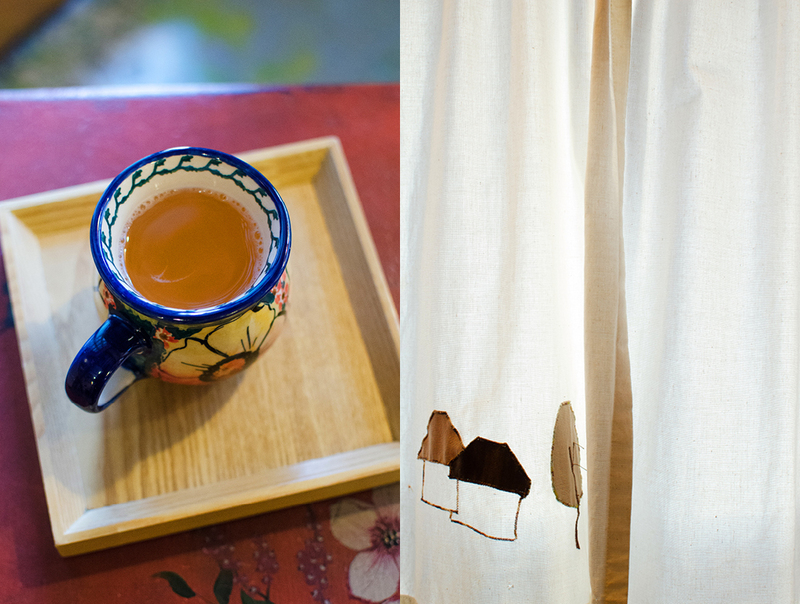 Today, they are still handcrafted in the traditional way, right here in Jeonju. As soon as we are seated a plethora of white porcelain side dishes arrive by trolley cart and are placed on the table, filling it with a seemingly endless variety of vegetables, fish, tofu, sauces, and pastes. 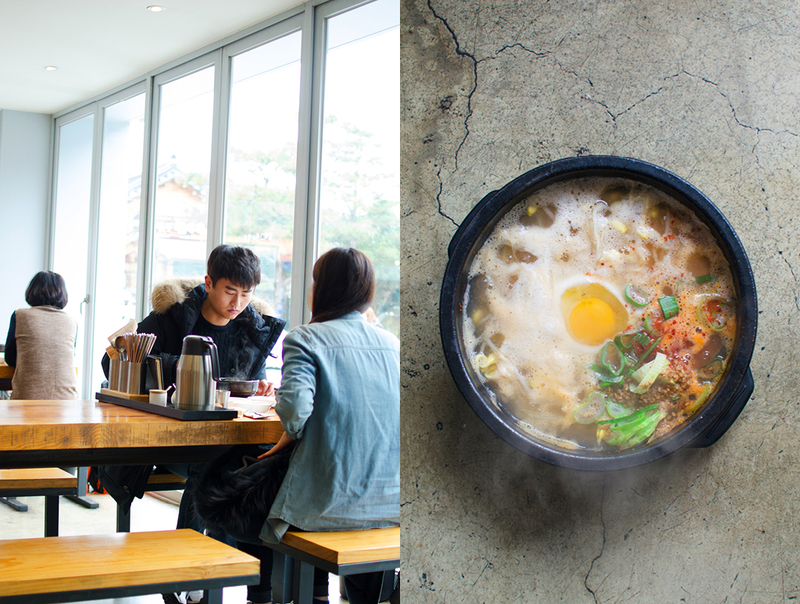 Soon our metal Bibimbap bowls arrive piping hot, and we tuck in. 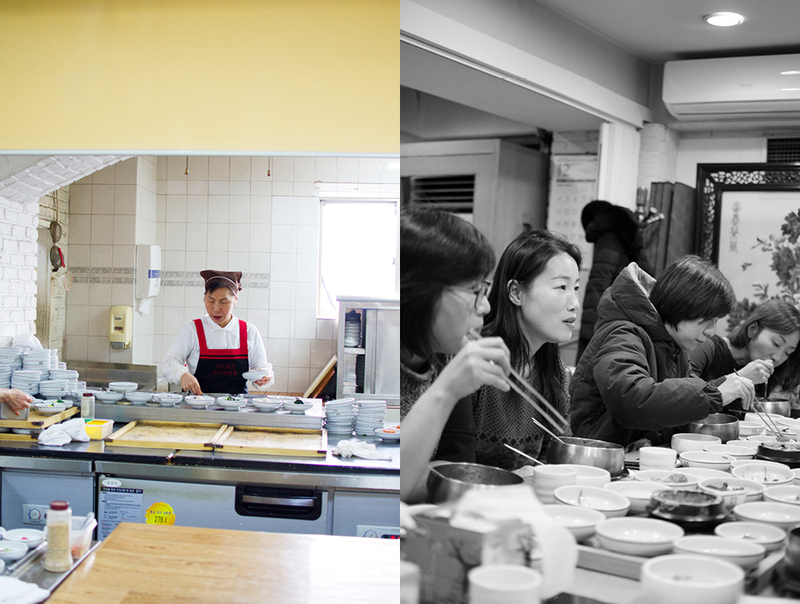 With occasional nudging from our guide we manage to navigate through our Bibimbap lunch like the locals. 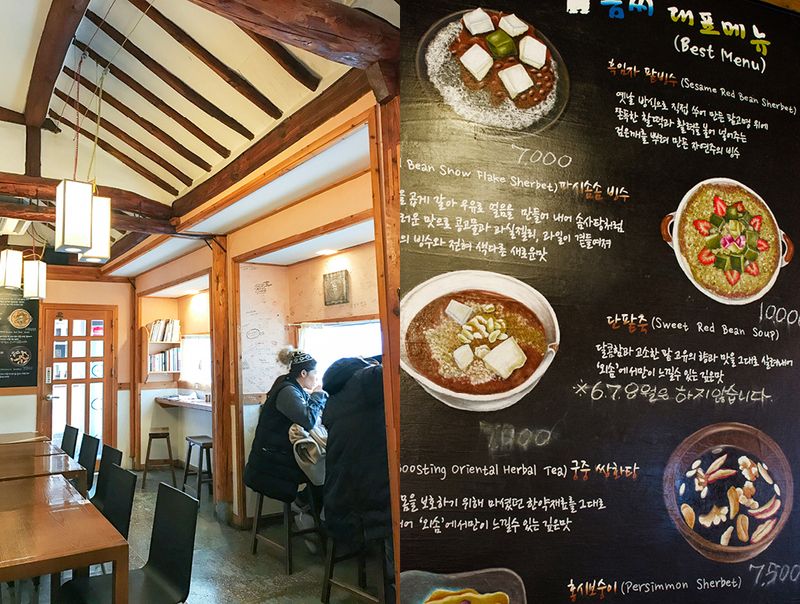 With everything made fresh on site, this is truly one of the great Bibimbap restaurants in Korea. Our lunch was delicious! 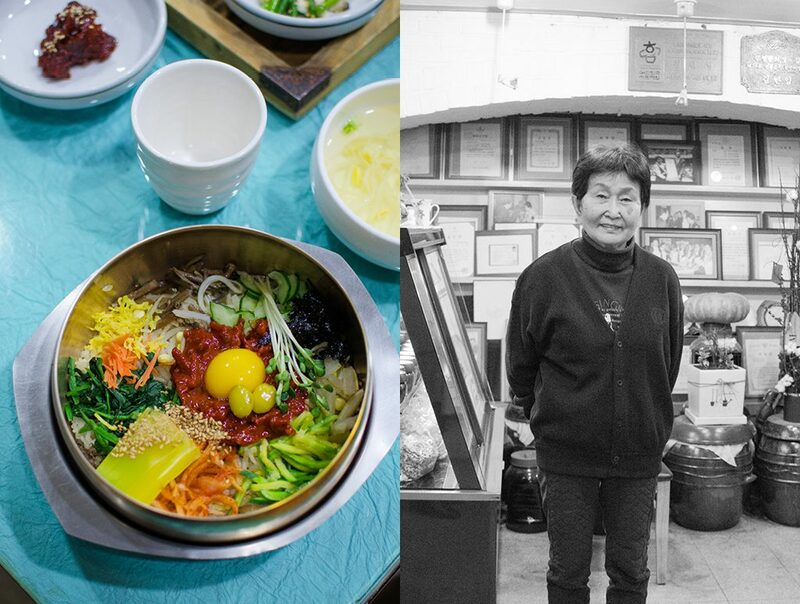 On the way to our next stop, our guide takes us on a quick side trip to visit the shop of a master Bibimbap bowl craftsman. The store is run by his daughter and is filled with bowls of all shapes and sizes. I was tempted to bring some home with me, but it would have meant carrying them for the rest of the trip. So we opted for two little metal bells that are easier to carry. But now that I am home I regret not buying the bowls: Don’t make the same mistake! Our stomachs full and satisfied, we are ready for some sightseeing. 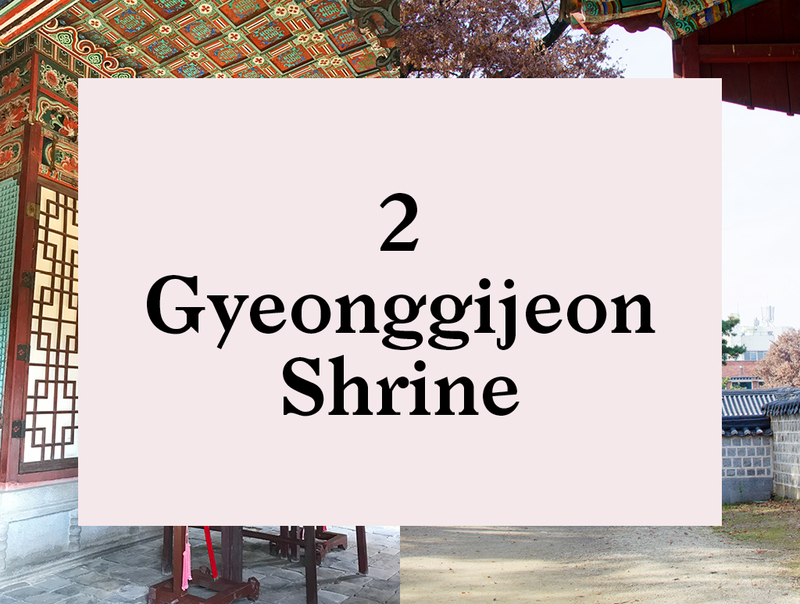 We head over to the Gyeonggijeon Shrine, one of the most important traditional sites in Korea. 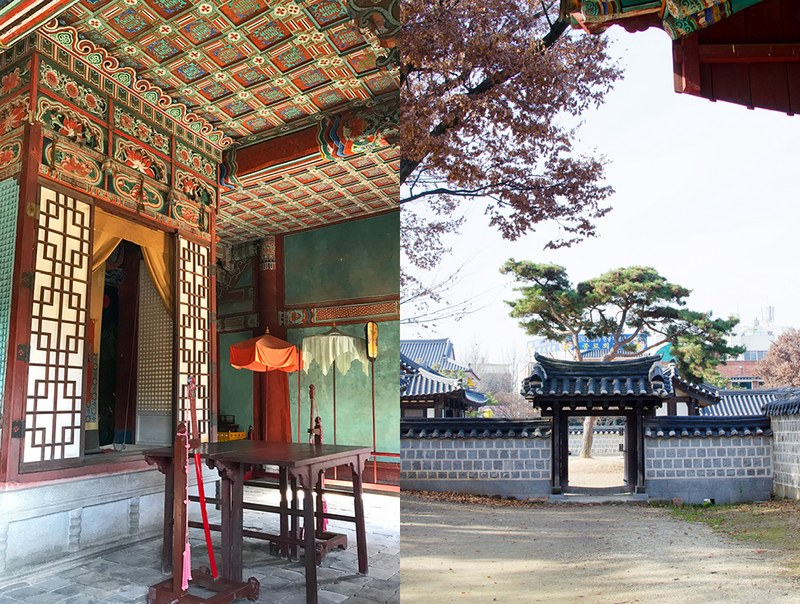 Built in 1410, King Tae-jo, founder of the Joseon Dynasty, and his wife’s mortuary tablets are enshrined here. 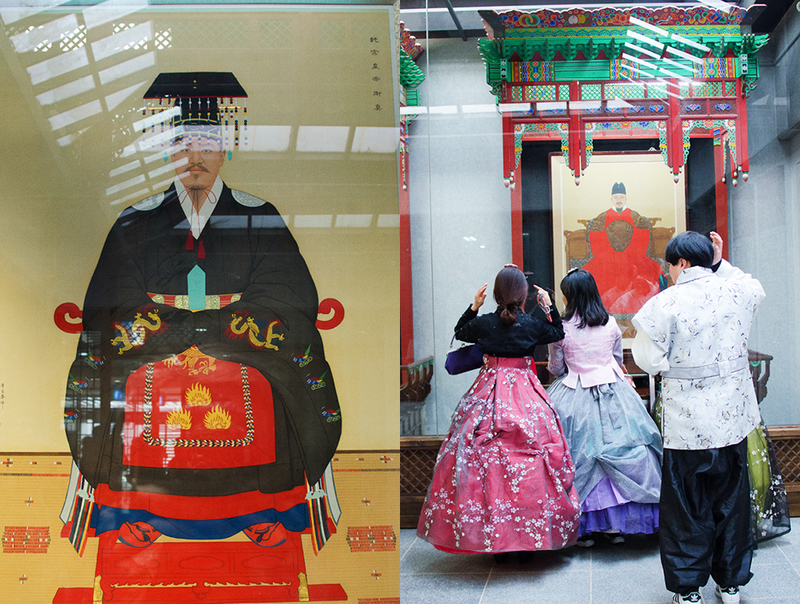 It is also the home of the portraits of King Tae-jo and other successive kings, including Sun-jong, Cheol-jong, Yeong-jo and many others. The structure was partially destroyed during the Imjin War (1592-1598), and the existing structure was remodeled in1614. 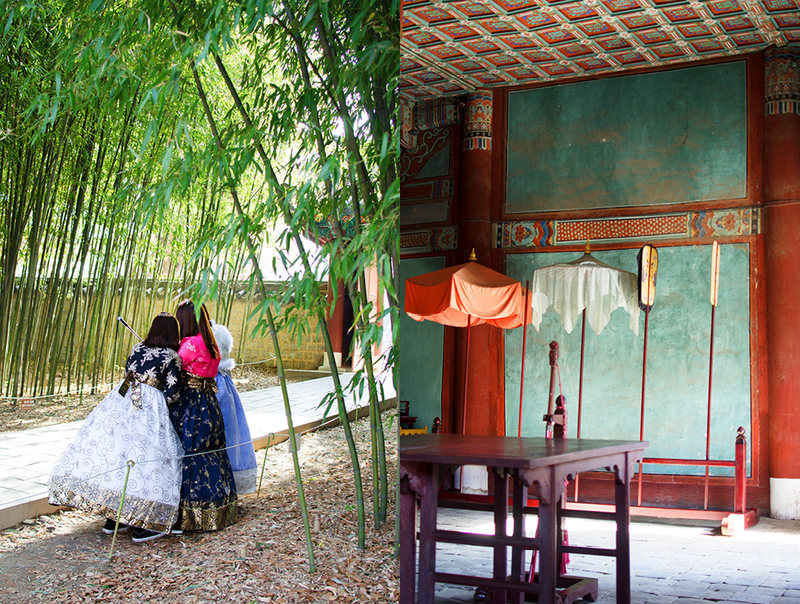 Adding to the historical atmosphere, many visitors like to dress up in traditional “Hanbok” costumes for their stroll through the grounds. Many rental shops offer costumes–and selfie sticks–for rent. 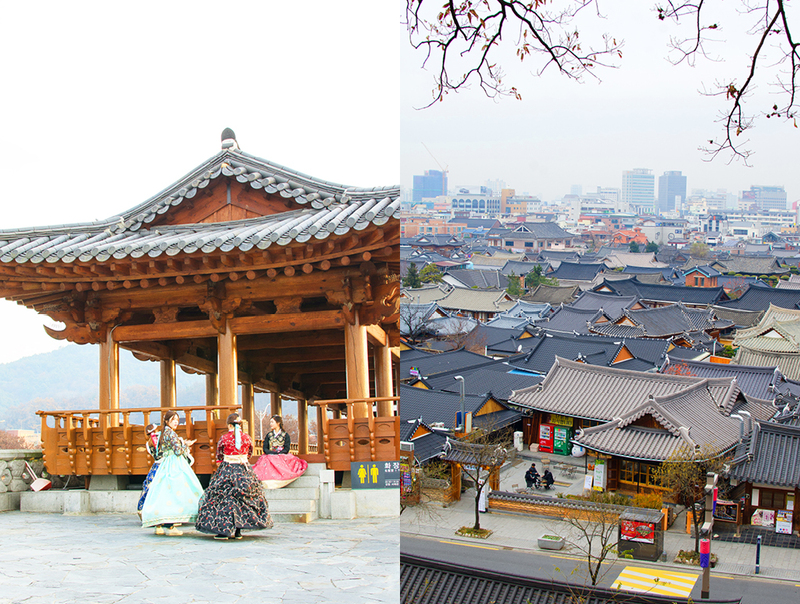 And couples and groups flock to the shrine to revel in Korea’s rich history and pageantry while making themselves part of it. Amazing to watch. 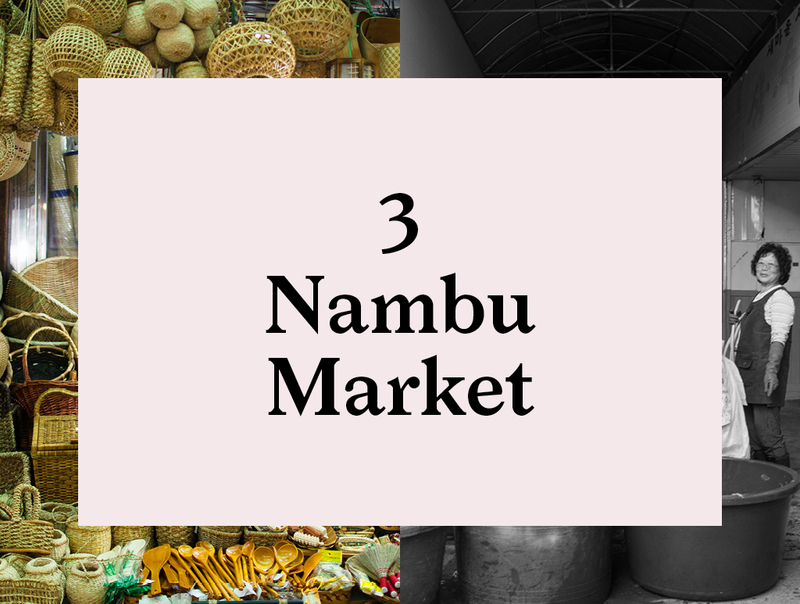 Nambu Traditional Market opened as a regular public market in 1905. 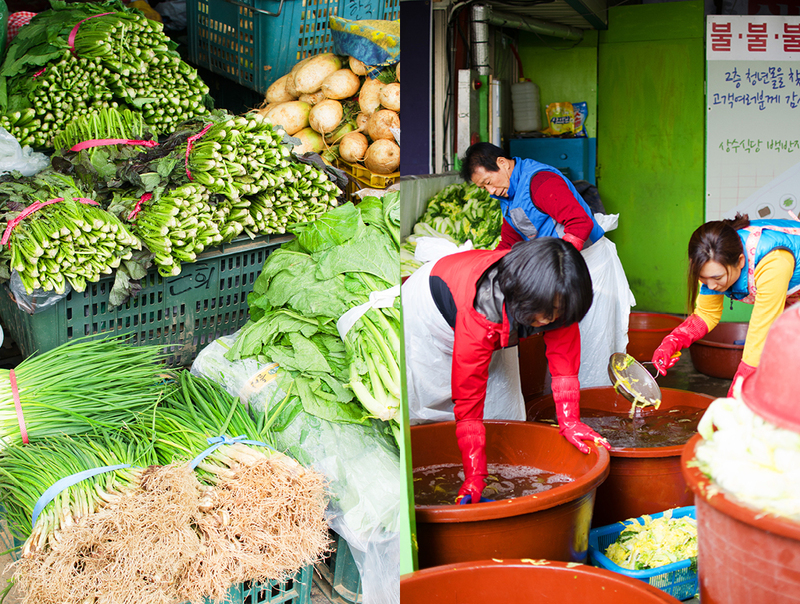 Today, the market is comprised of about 800 stores with 1,200 shopkeepers showing up every day to sell almost anything you could think of: vegetables, fruits, food, dried fish, furniture, silk goods, and lots of stuff you’ve never imagined. It overloads the senses. With shoppers and traders everywhere, we are glad to have a guide with us to help with some souvenirs and to sample some of the exotic foods. We learned a lot during our short trip through the market. 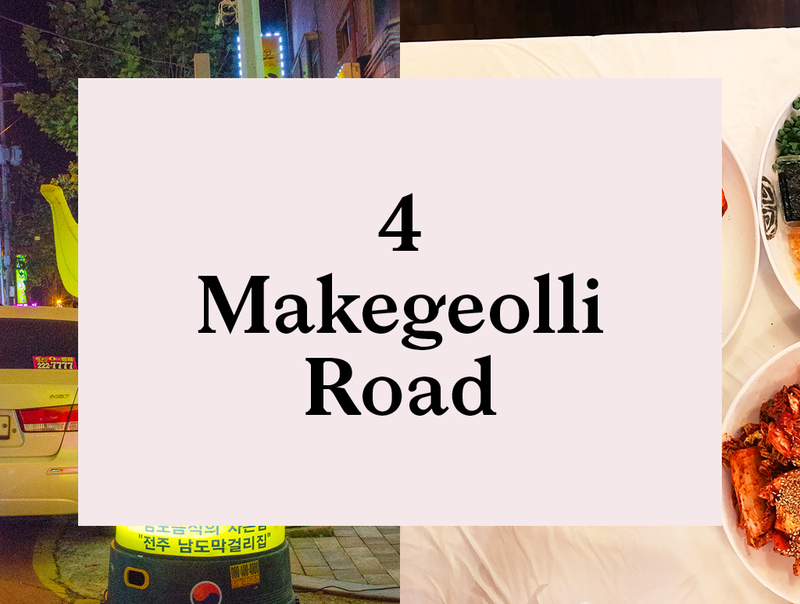 Jumping into a taxi we drove over to the east side of town, where a whole road is dedicated to Makgeolli taverns. 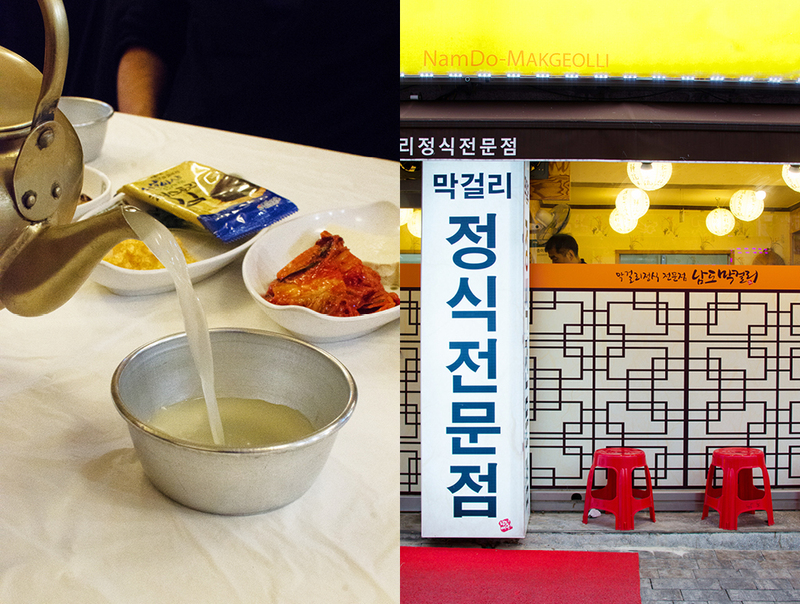 Makgeolli is a fermented rice drink, slightly milky in color and sweet to taste. A bit like cider. The first mention of the drink was in the founding story of the Goguryeo during the reign of King Dongmyeong around 40 BC. Many communities in Korea around that time participated in special ceremonies involving drinking and dancing late into the night. And some 2000 years later it is still the case. It’s Saturday night and along Makgeolli Alley modern celebrations are in full swing. 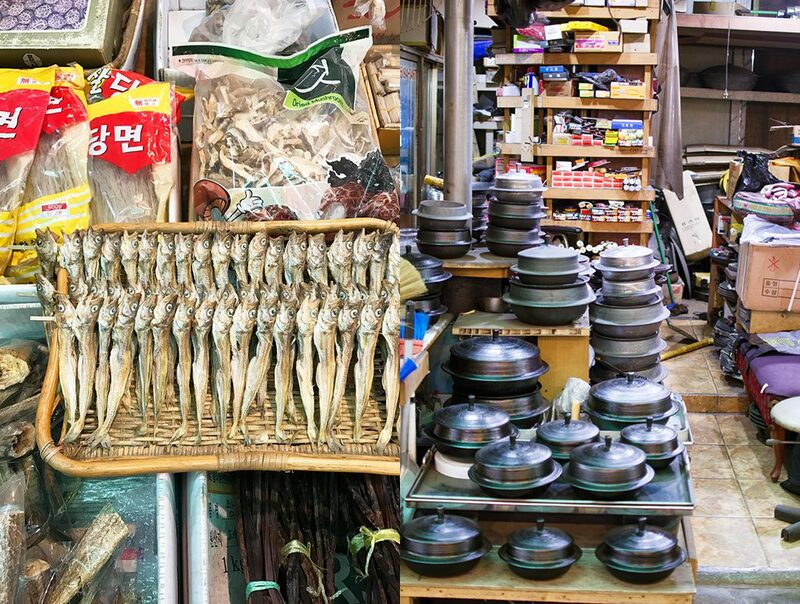 Lots of small dishes are brought out one by one, in quick succession: fried fishes, dried fish, tofu, kimchi, and a few things that were a complete mystery. Everything is simply prepared, and most of it is quite tasty. And after a second kettle of makgeolli … who knows? 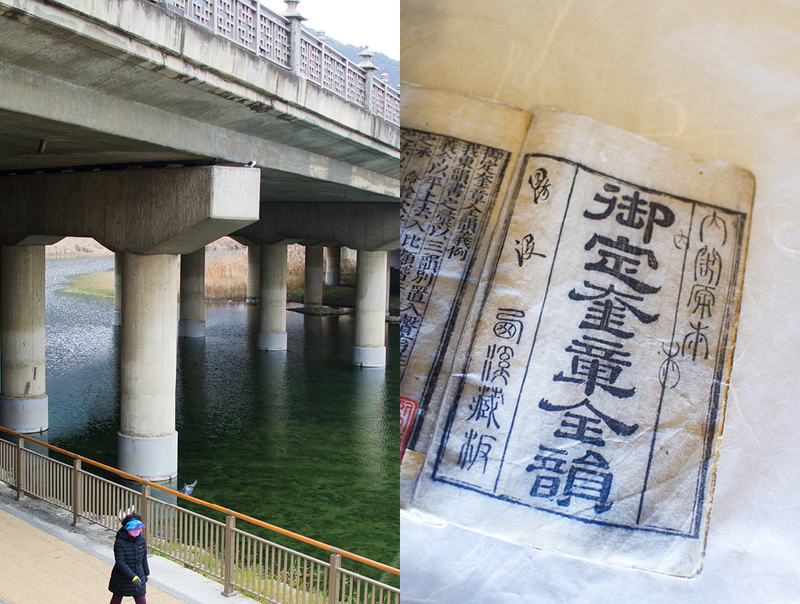 Still suffering from a healthy dose of jet lag, and with the added effect of the bowls of makgeolli, we were thankful that our guide got us back to our Hanok safe and sound, and in time for some rest before our early call the next morning. Equipped with the custom itinerary our guide had prepared, the next morning we stopped first at q small cafe not far from our Hanok. 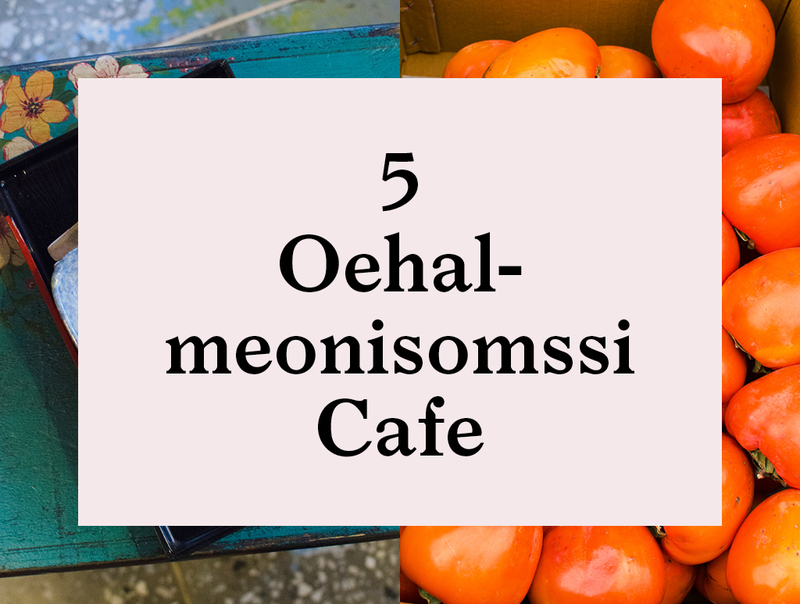 Oehalmeonisomisso Cafe (외할머니솜씨 if you are searching on google) is a favorite with locals. It’s a quiet morning, and following our guide’s recommendations we pick a few dishes to try. We start with Orange tea. Perfect for a cold winter’s morning, it’s a simple drink made with marmalade steamed with hot water, resulting in a yummy sweet tea. Sweet Red Bean soup is a stew-like dish that could easily work as a dessert or for breakfast. It is served topped with nuts and cinnamon, and is accompanied by buckwheat tea to neutralize the sweetness. 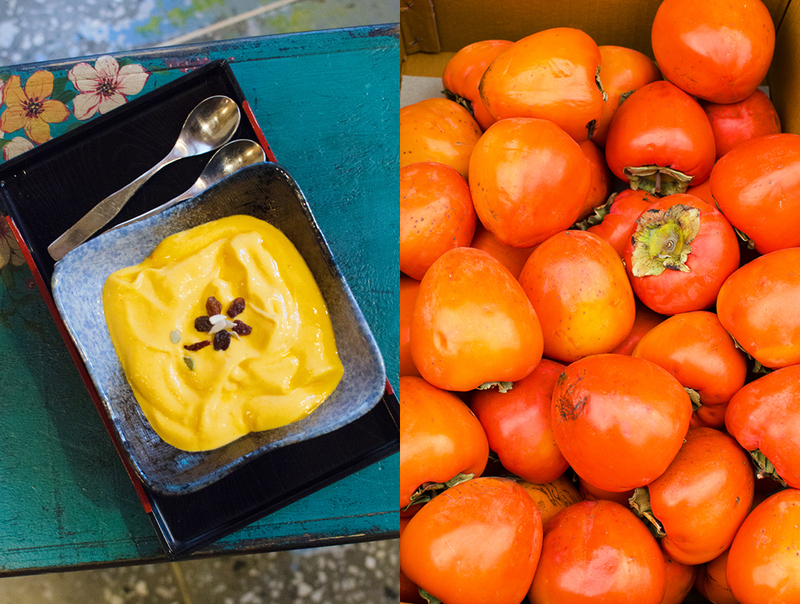 Next, a staple of Korean winter cuisine, pureed persimmons. Around town you see the beautiful persimmon trees, the leaves are all gone but this lovely sweet fruit still hangs onto the branch, getting plump and juicy. Koreans like to freeze them, then blend them for a sorbet-like texture. Voila, a tasty nutritious snack or dessert. 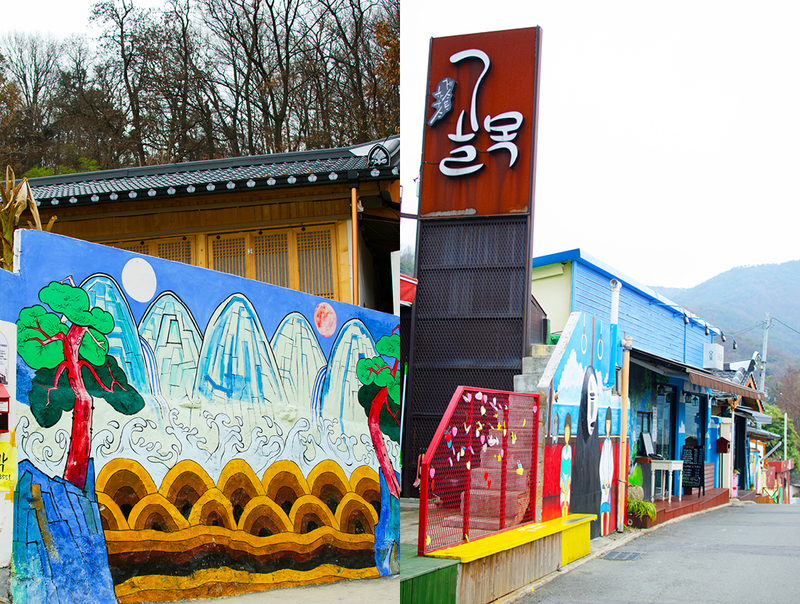 Taking a closer look at Jeonju Hanok village, it includes more than 800 traditional Korean hanoks. 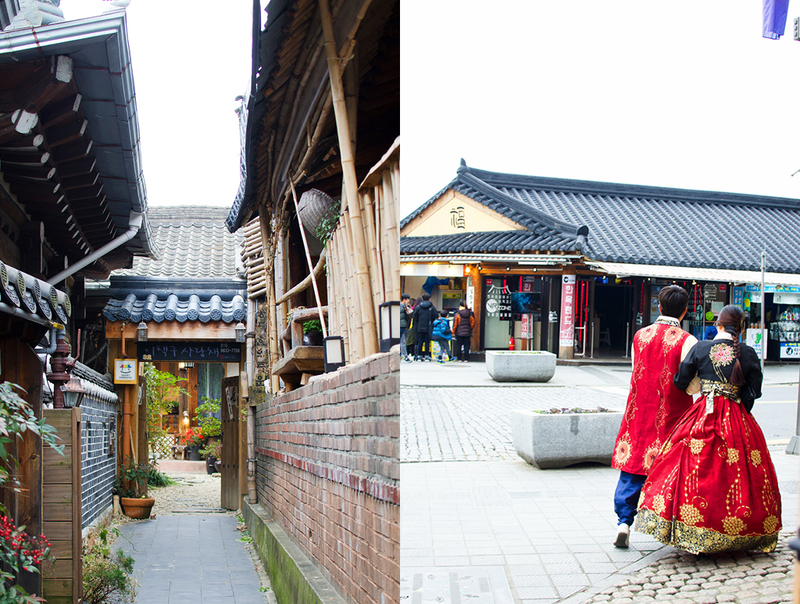 While the rest of city has grown and been industrialized, Hanok Village retains its historical charms and traditions. Hanok Village is particularly known for its beautiful, unique roofs, the edges of which are raised slightly to the sky. 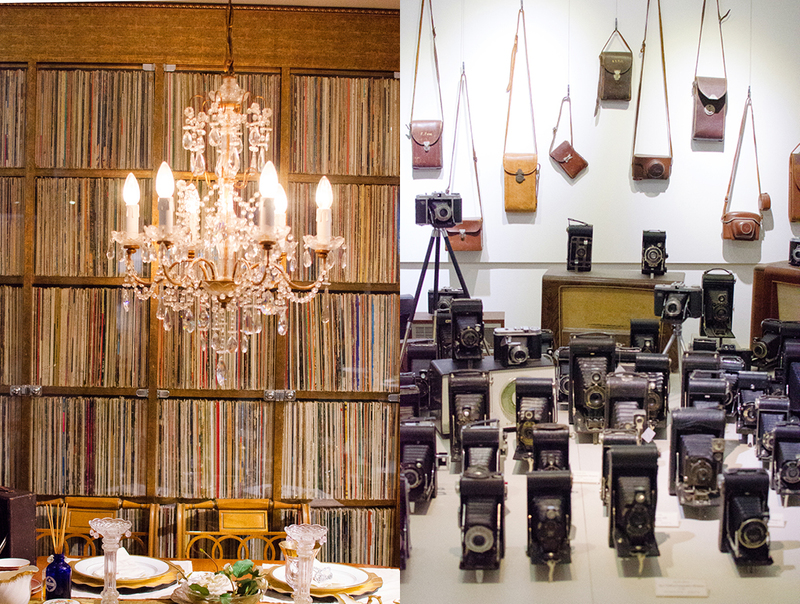 The photography museum, a small privately owned museum, with an amazing Leica collection. Also on display is the owner’s record collection, set up in a 1930’s dining room setting. An odd and interesting place. 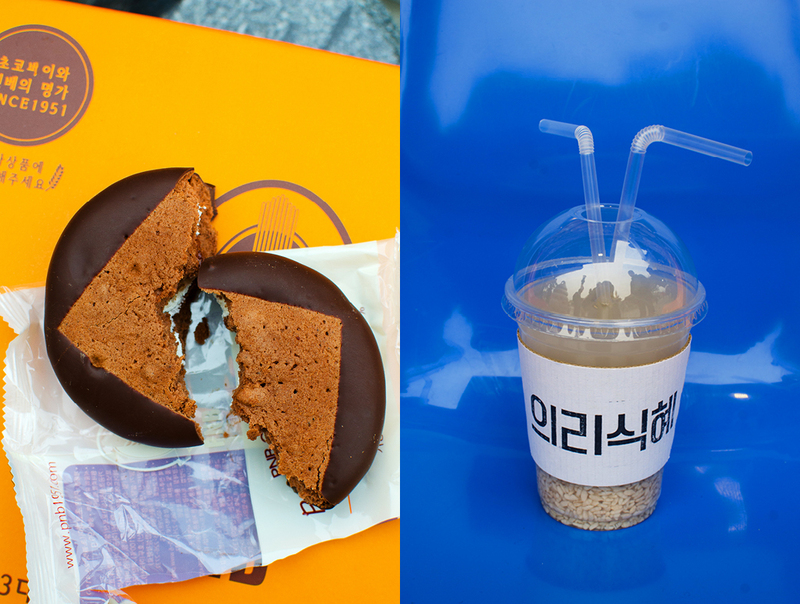 Be sure to stop by one of the street-side food concessions to try a fermented rice drink, a favorite with Koreans: as we were told, “as popular as milkshakes in America”. At the intersection of Taejo Road and Ginko Road, don’t miss the PNB bakery. In operation since 1951, they are famous for their delicious cakes and long lines. They move quickly though, and is definitely worth the wait. With a bit of a chocolate craving, I went for the choco pie. The wine museum a great way to explore the world of traditional Korean liquor, and discover how it’s made, with the museum’s great hands-on programs. 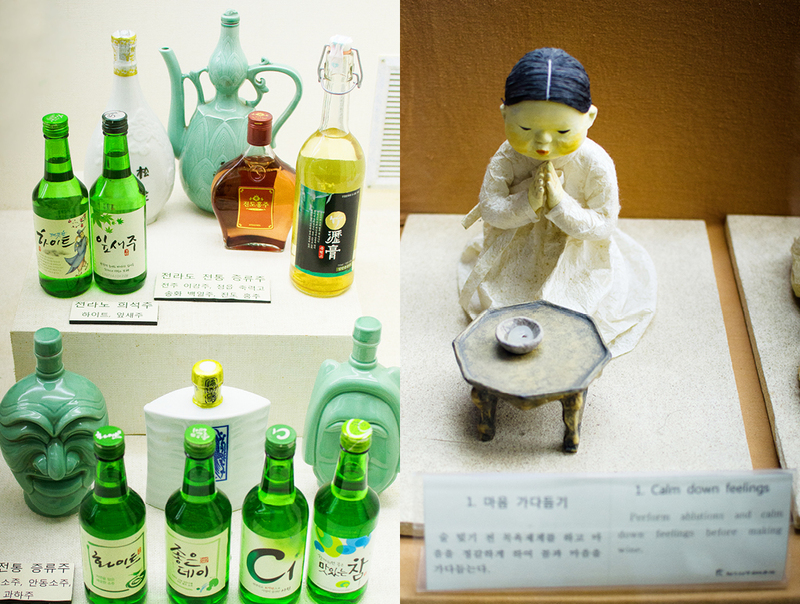 Visitors can see the tools and machines used in the making of alcohol throughout Korea’s history, and get a closer look at the different types of traditional Korean wine. Sambeak means 300 in Korean. 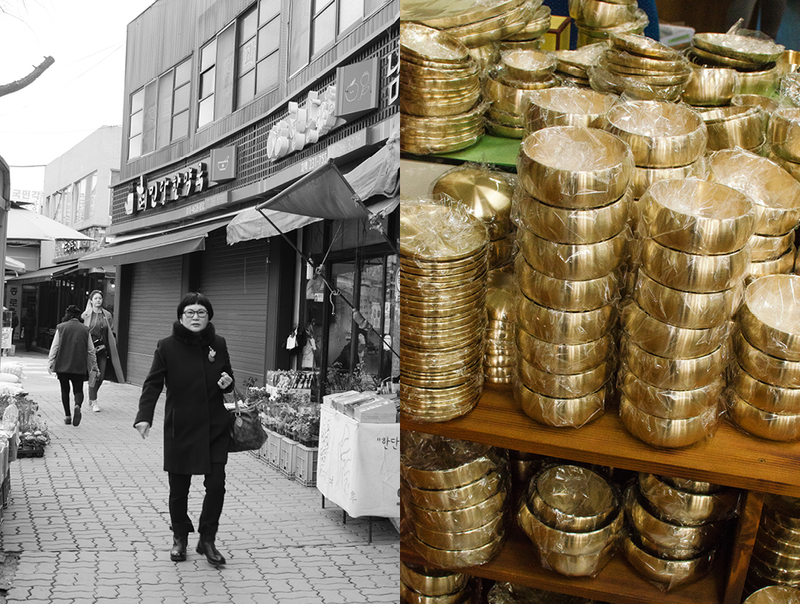 As the story goes, the first owner of Sambeakzip, Lee Bongsoon, limited her sales to 300 bowls of bean sprout soup a day. And she was famous for swearing at the customers: I guess there is a Soup Nazi in every country. 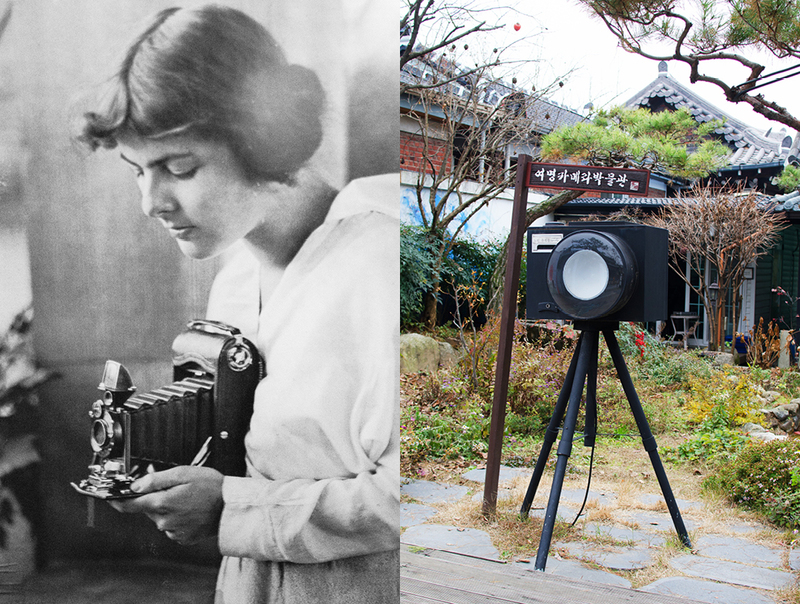 There’s a funny story about Lee Bongsoon. One day the President (Park Junghui) visited Sambeakzip without his entourage. He caught Lee’s eye, and she, without a second thought, gave him an extra egg for looking like the president. 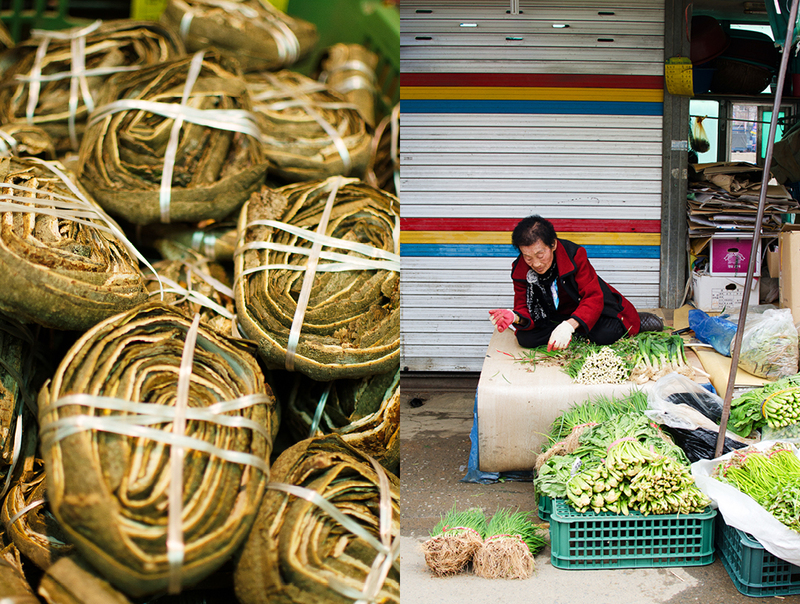 There are two styles of Jeonju bean sprout soup. First there is Nambu market style, in which the egg is served separately from the soup, and the soup is served not quite boiling, to keep the bean sprouts crunchy. Then there’s Sambeakzip style, in which the soup arrives at the table boiling, with an egg on top. By the time the soup is served the egg should be starting to poach. For me, it’s Sambeakzip style all the way! Before heading back to Seoul we have time to explore one more place. 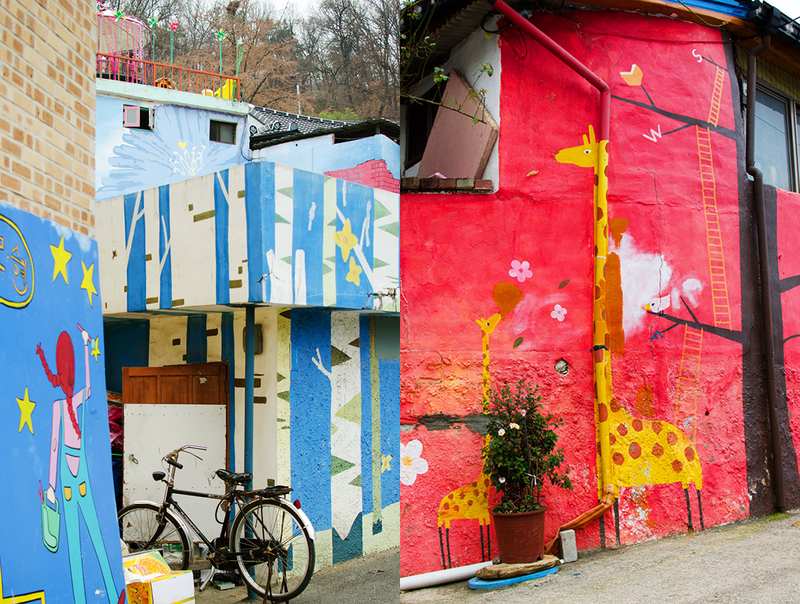 Jaman Mural Village is located at the foot of Seungamsan Mountain overlooking Jeonju Hanok Village. Although it’s a fairly steep walk up to Jaman Village, it is well worth it. 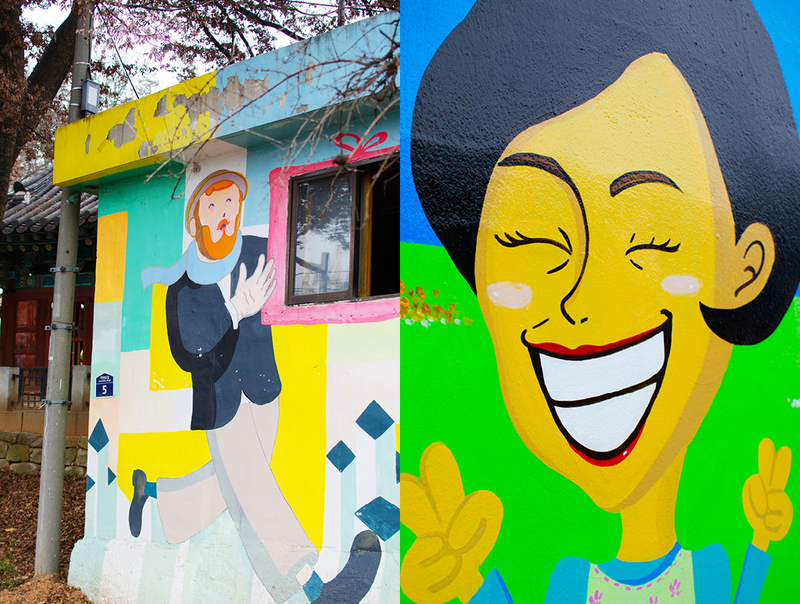 You will be amply rewarded with a multitude of fanciful, colorful murals, painted on most of the buildings and walls along the way. It is a worthwhile side trip if you are not totally worn out. Time to head back to Seoul. A quick taxi ride and we are ready to board the high-speed train. 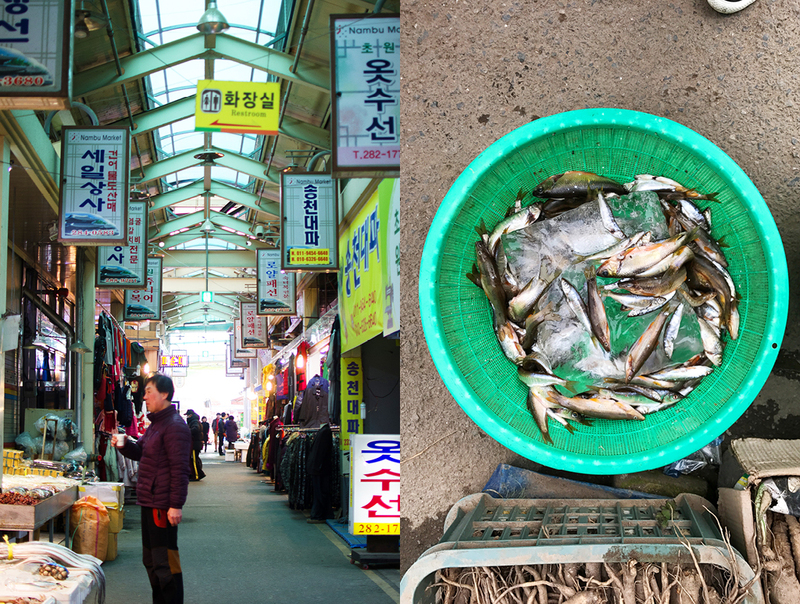 Seoul is great, but getting away for a day or so to see a quieter side of Korea brings a whole new element to your experience of Korea. Make sure to add Jenoju to your list of places you must visit. 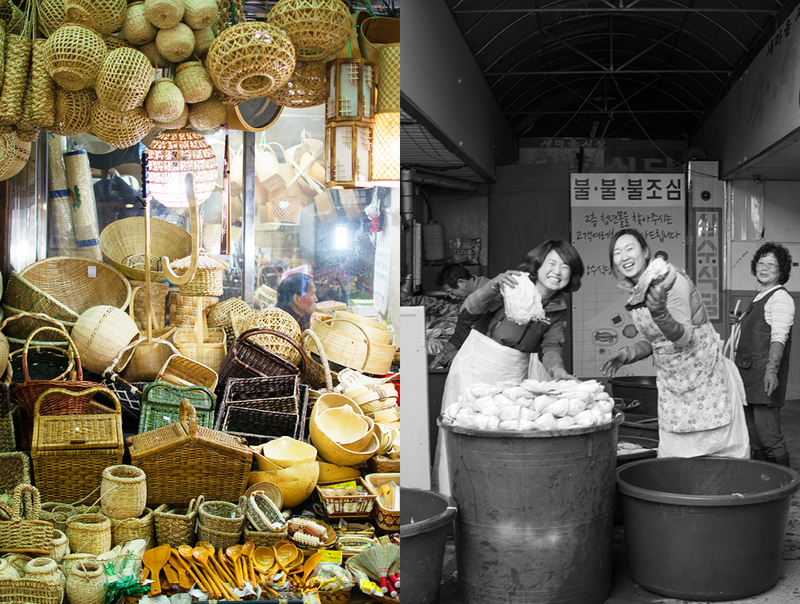 Planning a trip to Jeonju? Here is the current weather and what to expect for the next few days.